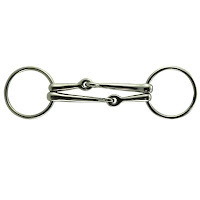 So, after my 17.1 8 year old Irish Sport Horse Barley had bombed round his last BE 100 SJ course like he was high on acid kicking poles out as if that was the new aim of the game, it was time to try out a new bit as he’d certainly got too big for his hooves with his double snaffle. 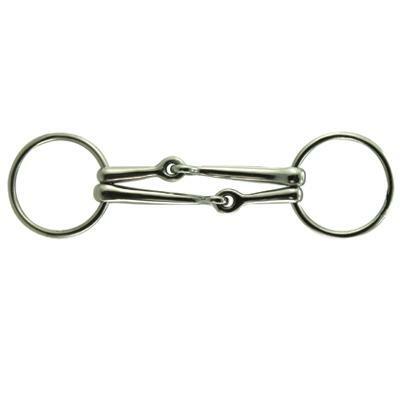 Last spring at Aldon Horse Trials we noticed our neighbour in the lorry park was using a Waterford full cheek bit and informed us that they had quite a bit of success with it teaching her horse to stop leaning/tanking off. We ended up purchasing the Copper Waterford Full Cheek Bit from Bit World and 18 months later finally got round to trying it out this week! The first attempt was at home practicing in our field – 20 minutes later after Barley had stopped throwing his toys out of the pram we cracked on with the fun stuff – jumping. It took a while to get used to the way he reacted to the bit as he knew that he had something a little sharper in his mouth and threw his head up after landing. However, 20 minutes later our approach to the fence was calmer – not a nap in sight(! ), bascule-ing the top of the barrels (3ft6”) and not bombing off into the sunset on landing. Result – now to put practice into reality! Show time was in the Open Working Hunter class at Chard Show. After a few tantrums in the practice ring we managed to get Barley under control in time for our round over the 11 rustic jumps 3ft3”-3ft6” which even included an actual bush to jump through rather than over! How did he do? Well, the jumping side was one of his finest smooth clear rounds, for once he actually listened rather than cocking his jaw and didn’t even touch the narrow style which he kicked out with no respect at Bath and West. The show we had to perform immediately after the jumping round wasn’t as good, we struck off on the incorrect leg, which meant I ended up in 3rd place – not bad really, and I’m glad we tried the bit out at a smaller show rather than the HOYS qualifier we’re aiming for in August. I would recommend other riders to try out the Waterford, the one we purchased has a lozenge in the middle which is slightly milder than others on the market. 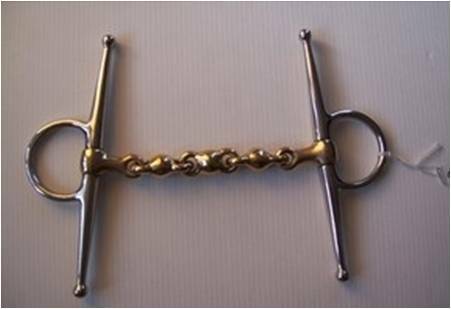 The reason why riders seem to love using the Waterford is because it’s a flexible bit that moulds round the horse’s mouth creating an even pressure. Its fluid movement in all directions make it difficult for the horse to lean on or take a hold, hence giving the rider control. Reading other reviews, riders seem to use the Waterford for remedial cases and return to their usual jumping bit once the problem has been solved which I agree with. Hopefully, the Waterford bit will prove to be my secret weapon for the rest of the season. Black Cow on the Blog!